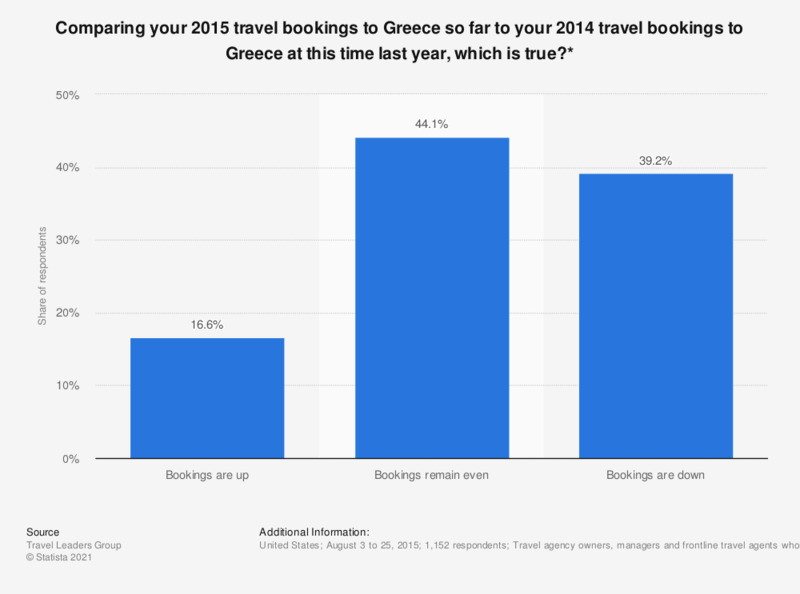 This statistic shows the share of U.S. travel agents by their change in travel bookings to Greece in 2015 compared to 2014. Of the travel agents surveyed, 12.6 percent of respondents said they had more travel bookings to Greece in 2015 than in 2014. * Each year of the survey is a comparison of the previous years bookings which come from earlier studies. Did you use mobile devices to purchase travel?